Time sure flies when you are having fun while reducing your carbon footprint. I am now at 6 months of happy emission free days ownership and thought it was time to do a 2013 Nissan Leaf update. If you recall my earlier post “Why I bought A 2013 Nissan Leaf”, I gave a breakdown of the considerations that went into buying this car. I also went into detail on choosing to finance the vehicle to keep my cash invested in my investment accounts. The budget was that the loan payments would be offset by the fuel savings. The numbers have not reached cost neutral in my favour at this point as I had hoped. My wife and I don’t drive much in winter or any other time of the year for that matter. We picked a community where we walk or bike everywhere as part of our sustainable lifestyle. At my current rate of driving we will hit about 17,000km at the 1 year mark which is just above the Canadian average surprisingly of 15,200. Although come summer I plan to be driving much more as I travel to reach all the hiking trails I do around the Vancouver Island. The vehicle also holds it value very well for an in demand market spectrum as EV grows in popularity and mainstream acceptance. I am basically paying $40/week after fuel savings, or you could look it as I am only paying $100 every two weeks on my $185 loan payment because of the savings I am not having to fork out. Resale value is still what I paid for it and that $40/week will be able to be recouped if I sell it, much like house equity on our mortgage payments. I also bought used to keep the loan payment low, to have the numbers on fuel savings offset the loan and of course to have no depreciation of a new vehicle to contend with. Those are the nuts and bolts of owning my Nissan Leaf when it comes to my financial perspective. My short term and long term decisions are guided by my personal finance beliefs but the parallel guiding principle for me is the sustainable living aspect. I have been extremely happy that I have been able to have a lifestyle where my vehicle is no longer dependant on fossil fuels for its operation. Of course the production of the vehicle and the battery notable are carbon intensive. over the life time of the vehicle the footprint is much much smaller. One also needs to consider where you live and the source of electric generation. I live in British Columbia which derives 94% of its energy from renewable sources with the bulk coming via Hydro generation (90%). Whereas in Alberta the majority of the power comes from coal and my electric Nissan Leaf would technically not have as low a GHG footprint as compared to BC. The National Energy Board did an extensive research article that went in depth on this topic allowing Canadians to better understand this point. Here is the opening summary from that article. To explore the entire article you can follow this link ; Feature Article: How much CO2 do electric vehicles, hybrids and gasoline vehicles emit? 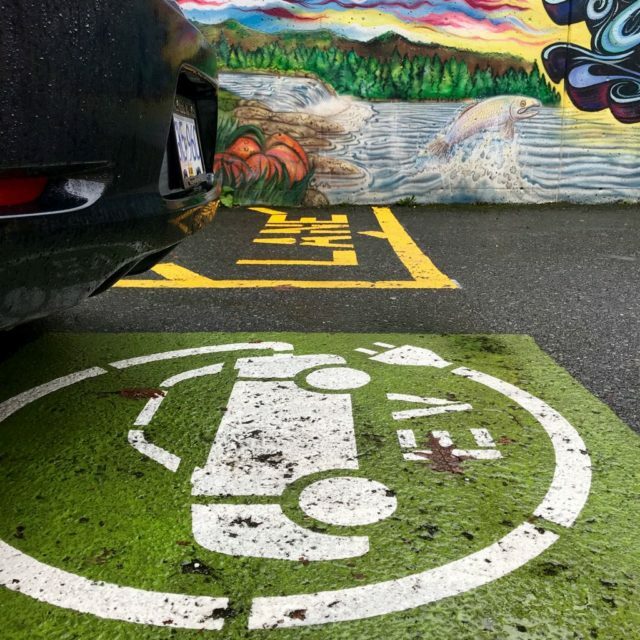 The adoption of electric vehicles (EVs) can contribute to greenhouse gas (GHG) emissions reductions. However, this depends on the source of electricity that will power EVs. EVs can be partly or wholly powered by electricity purchased from the grid, which has different carbon intensities depending on where you are in the country. 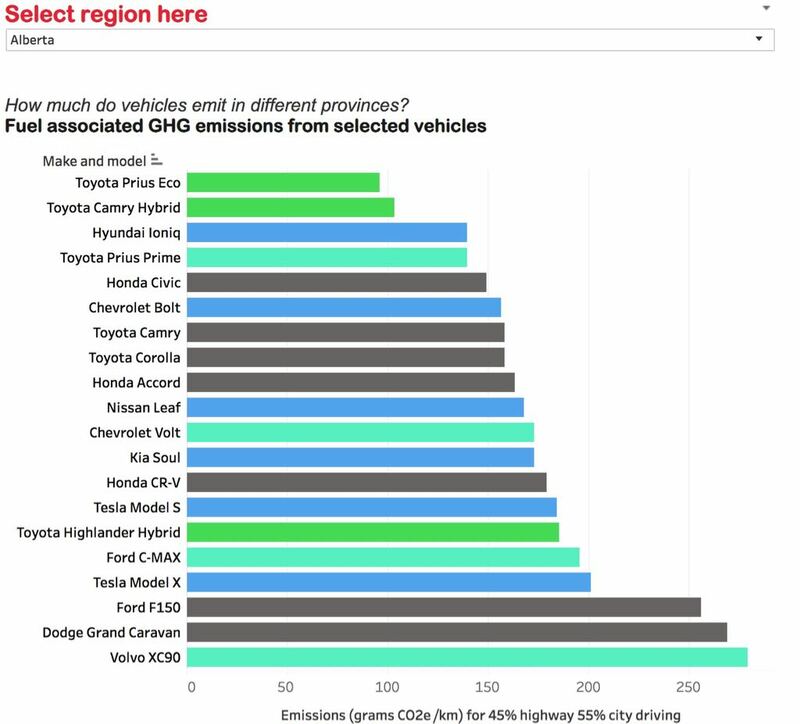 In some provinces, like Quebec, Manitoba and British Columbia, some EVs can emit almost no carbon dioxide (CO2), because these provinces have low-carbon electricity generation. As it is explained in this article, in some provinces, the emissions from burning fuel for electricity generation can be more than the emissions from burning gasoline in the engines of some conventional vehicles. 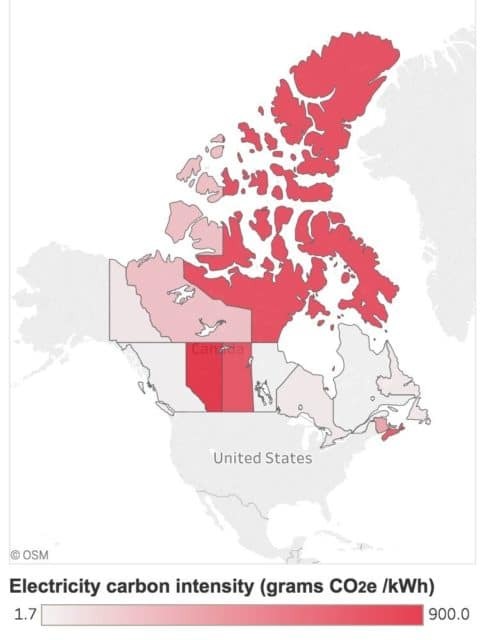 Where is the lowest-emitting electricty in Canada? The very first thing that comes up when you are looking into an electric car as well as the first few weeks of ownership is range anxiety. Will my daily life be manageable, can I make it where I am going, will I run out of charge? After the first month this was all a distant thought for me quickly feeling comfortable with the range as well as where all the chargers are located. I am extremely fortunate that BC has an extensive charging network and continue to invest into more DC Fast Chargers . 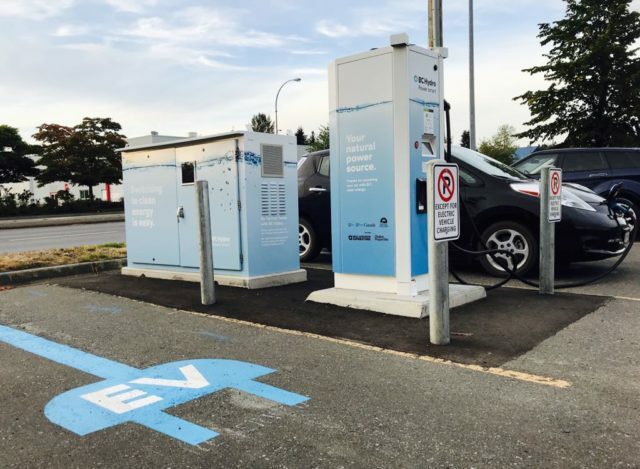 For example in the past two years new DC quick chargers have been installed in Nanaimo, Port Alberni, Taylor Arm rest area and Pacific Rim Visitor Centre which would make my Tofino Road Trip Must Do Stops easy now for any electric car owner. Local governments and businesses on the West Coast really get it, I see more and more chargers every week. I have found some new coffee shops and cafes I like because new chargers were installed nearby or even at the business itself. 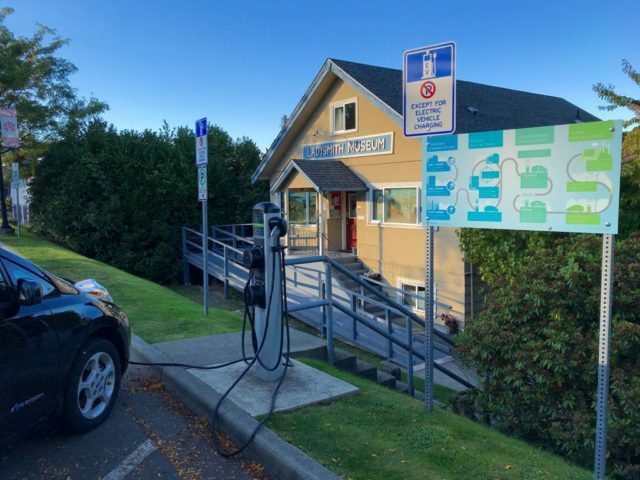 Heck I discovered Royal Bay Bakery in Victoria as the owner has an EV, has solar power on his business and has a level 2 charger in his parking lot free for use. Habits begin to form and knowing what range you will have on a given trip becomes second nature. I know which roads have the most hills and what routes will offer me the most efficiency. An example of this would be north of Nanaimo I will drive the Oceanside Route. I do this instead of the main Island Highway because the speed limit is 80km/hr instead of 110 km/hr which represents a significant energy savings for the battery. Finding the efficient ways to drive and getting to know the region my safe max range I give myself is 100km. I try not to push it beyond this and like to keep a bit of margin for error in there. Thinking back this distance sticks in my head but I can’t recall the max range I ever got, I will make note of this for next update. The manufacturers spec range on the 2013 Nissan leaf with the 24kwh battery was 121 km. Now that we are currently experiencing winter I have seen a slight reduction in battery range. In summer a full charge would show about 145km and now in winter I see anywhere from 130-135 km right after I unplug. Shortly after the photo below was taken I was driving at highway speed where wind chills cooled the battery further as well as the vehicle cabin got cooler. I set the climate control at 21.5’C and the computer jumped my energy consumption to +8 km reduction. Battery capacity in cold weather is a downside but nothing that affects my daily life but is a important point to make for the 2013 Nissan leaf update. Driving the car is just flat out fun. The motor has two modes, normal and “ECO” where the power is restricted to conserve battery power. I have left the car in eco mode pretty much since day one never feeling the urge to put in normal full power mode. In the normal mode though, holy cow it snaps you back in the seat when you punch it merging onto the highway. Gas stations are something I do not miss at all. Driving by I still notice gas prices fluctuate but only so I can keep my fuel savings spreadsheet updated. Gone are the days of anxiety with rising prices and driving costing me more. It is actually the opposite as the higher the prices go, the more I save driving the Leaf. The cost of a litre of 87 octane regular fuel on Vancouver Island over the last 6 months has ranged from $1.48/L to $1.19L where I live. The car is comfortable and with longer roadtrips no problem feeling relaxed. The only thing I wish was that the driver seat had an adjustable lumbar like my previous vehicles. The dash is easy to navigate, stereo performs awesome and the bluetooth connectivity us great for safe driving for phone calls and listening to podcasts. One fun 2013 Nissan leaf update is that I enjoy the power meter in the dash. It shows how much regenerative braking energy the car is creating as well as how much power you are consuming if you really put your foot into the pedal. You begin to challenge yourself to accelerate smoothly, coast to stops getting max regen and find the sweet spot to be as efficient as possible. Hypermiling in an EV with the dashboard information is very easy to accomplish. I did a eco-home tour in the fall which also happened to be an electric car meetup. 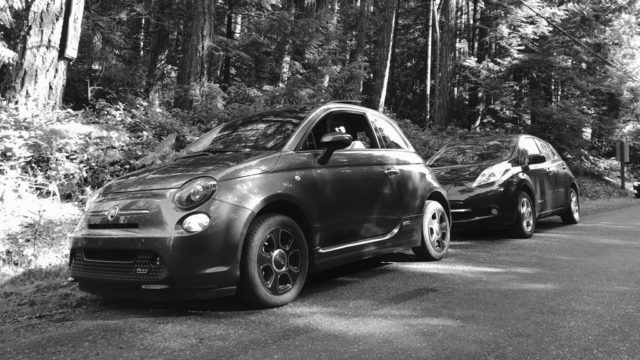 My friend who owns a Fiat 500 electric told me about it and we joined several Tesla owners that day. It is cool seeing other EVs and listening to their ownership stories. This would bring me to the only downside I have with my 2013 Nissan Leaf Update, lack of long distance range. This is 100% something I knew buying the Leaf and why I bought it to do all my local and short distance driving. I still have my Hyundai SantaFe for long distance roadtrips but didn’t know I would fall in love with the EV so much. 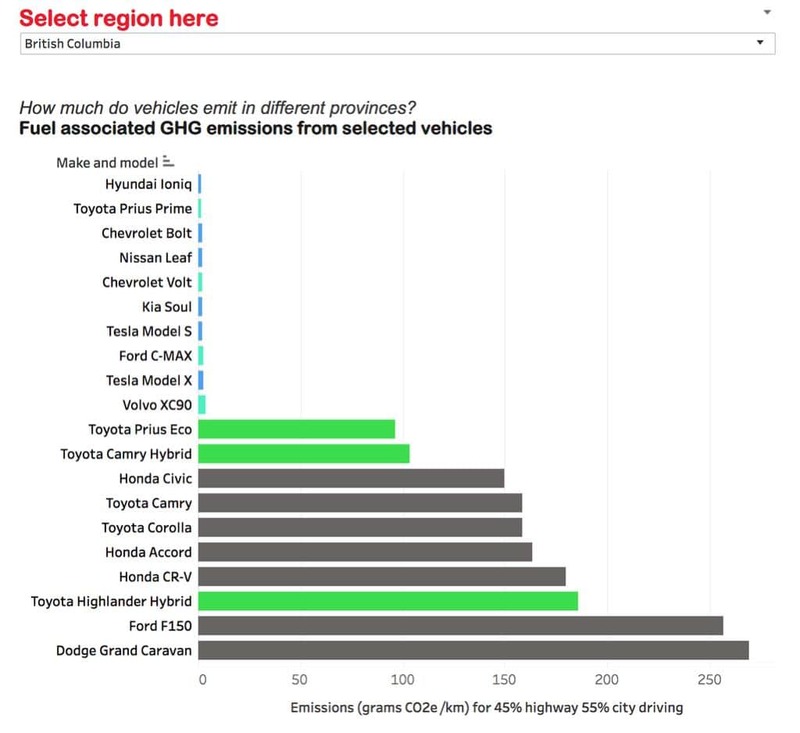 I see the new Leaf ePlus model reaching nearly 400km, a few friends now have Tesla Model 3s which can 500km and another friend just got their Hyundai Kona EV which gets upwards of 450kms. I am just jealous of the range of the newest electric vehicles on the market and their range. That being said I bought older and used to save significant money on the purchase price. For long road trips I have planned I will rent a fuel efficient compact. I plan in about 2 years to sell this 2013 Leaf and move into a 2016 or maybe a 2018 Leaf. Taking advantage once again the lower purchase price of a used electric car where the “fresh off the lot” depreciation has already occurred. To come to a conclusion on this 2013 Nissan Leaf Update for the last 6 months I would give the car a 5 out of 5 so far with zero reservations. It has met all of my expectations and helps me achieve my sustainable living goals to better care for the environment. If I commuted to work everyday I would probably be 100% cost neutral on the car with the increased mileage. I will continue to write more posts with my 2013 Nissan Leaf Update reviews and share as much of the good and bad with you. For now it continues to be a great switch, both for how nice of a great vehicle it is but also the fuel savings and zero emissions. Have you considered buying an electric vehicle yet? Does anyone you know have one? Have you had a test drive or ride in one yet to experience the ride and power yet? 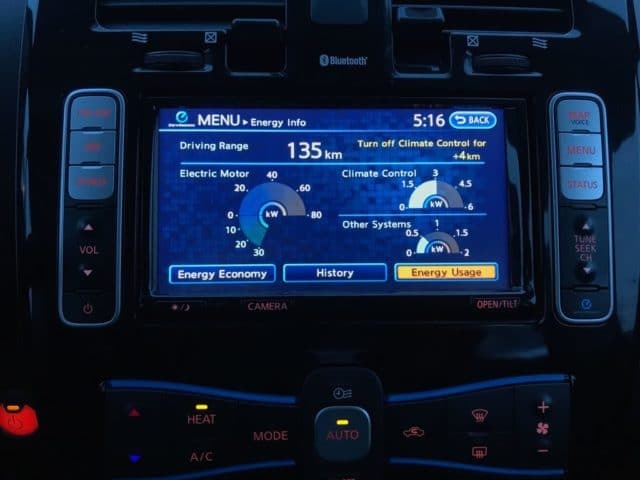 Since I first purchased my Nissan Leaf, Andrew over at Kootenay EV Family just did another great blog posts; Cost Update – 4.5 years at 172,000 km . He has created some of the most indepth Nissan Leaf EV ownership information I have seen online. Although he just posted a shocking new car purchase update that you need to read for yourself. So wing over there and check out Andrew and his blog. So cool dude, looks like a great little car and perfect for your situation. Let’s hope the smart folks out there keep advancing the battery technology. I hope to have something fully electric one day, as well as autonomous. Unless you were commuting everyday and in a gas guzzler I would suggest looking at the math. Being you are in a vehicle with lots of life left, get good mileage and you walk and bike ride so much the answer is to stay the course for now. The best part waiting means used ones will hit the market allowing you a much more affordable entry point. My twin sister also owns a used Leaf, and loves it. She lovingly calls it her ugly black frog. I’m looking forward to slowly reading my way through the rest of your posts. Lots of great stuff here! Thank so much for connecting Chrissy and I’ll have to remember the “little ugly black frog” for the Leaf lol. I drive very little as well as you can see mileage stats but makes sense as an investment for mileage savings, carbon footprint and being part of the climate transition. I look forward to seeing if you can make a Vancouver FI blogger meetup happen. You might have already heard, but there’s going to be a Vancouver Choose FI/Mustachian meetup in May! If you want the details, DM me on Twitter and I can send you more info. Tawcan and Money Mechanic said they’ll try to make it. I’ll be there for sure! Great update Chris. I’m more and more convinced that EV is the way to go for the future.